Greg Stuart is a percussionist from St. Paul, Minnesota currently residing in Columbia, South Carolina. 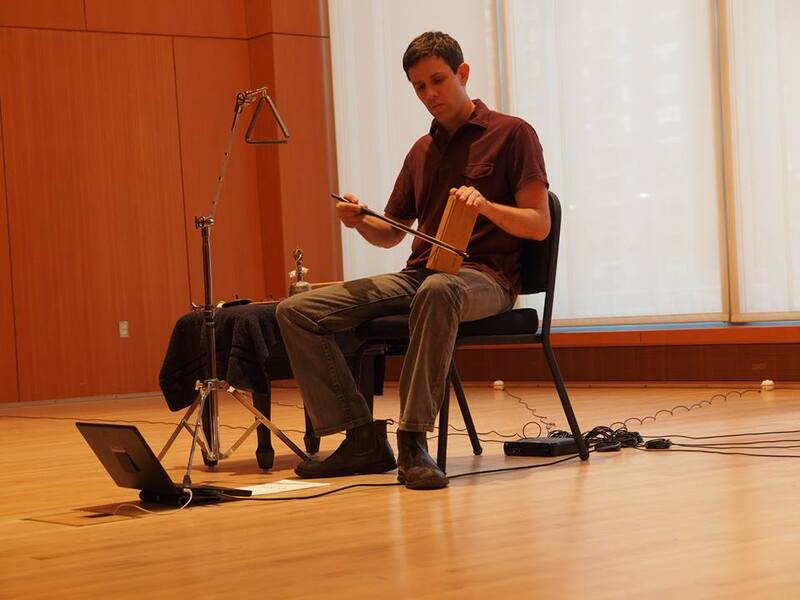 His work explores various alternative percussion techniques, including sustained friction, gravity-based sounds via small grains, sympathetic vibration, and electronic instruments. Since 2006 Stuart has collaborated extensively with the composer Michael Pisaro to produce a large body of new music for percussion comprised of pieces that focus on the magnification of small sounds through recording and layering and, at times, in combination with field recordings. Stuart also currently works with the percussion trio Meridian (with Tim Feeney and Nick Hennies) and with computer musician Joe Panzner. He has performed at MaerzMusik (Berlin), The Stone (NYC), Issue Project Room (NYC), The Wulf (Los Angeles), Gallery Kapleica (Ljubljana), Centro Cultural UFG (Goiânia), Elastic Arts Foundation (Chicago), New Music Co-Op (Austin), Philadelphia Sound Forum, Sushi Performance and Visual Art (San Diego), MacPhail Center for Music (Minneapolis), and the Columbia Museum of Art among others. He has recorded for Edition Wandelweiser, Gravity Wave, Erstwhile, Cathnor, Accidie and Senufo Editions. Greg Stuart is currently a Clinical Assistant Professor at the University of South Carolina School of Music in Columbia, South Carolina where he teaches music history, experimental music, and runs the New Music Workshop.